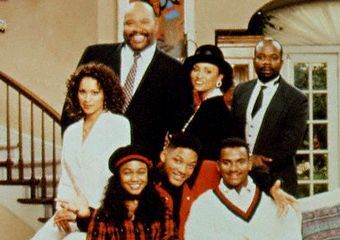 The Fresh Prince of Bel-Air, which taped from 1990-1996, continues to be in heavy rotation on the small screen. 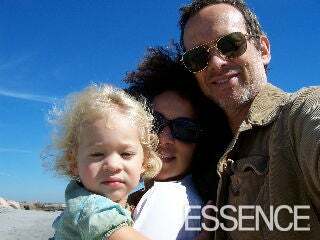 Karyn Parsons, left, says she had no idea how huge the show would be. 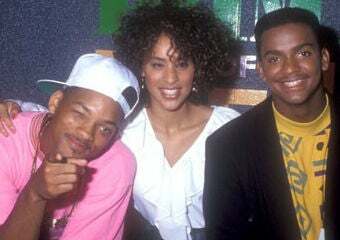 Celebrating the show’s first season, Karyn Parsons, center, Will Smith and Alfonso Ribeiro share a happy moment at an NBC event in 1990. Parsons reaches for higher heights (with the help of a chair) alongside Rupaul. On The Fresh Prince of Bel-Air, Hilary Banks, played by Parsons, mourns the death of her almost-fiancé Trevor, who died while trying to propose to her during an unforgettable bungee jumping accident. “When they dropped Trevor, the sound [technicians] kept playing around with different sounds—an apple dropping, something wet. It was funny,” she said. “When we did the first episode, I went back to my job as a hostess at a restaurant. Will [Smith], James Avery [who played her character’s father, Phillip Banks], Benny Medina [the show’s creator and producer] and all the guys would come by and laugh at me and point at me through the window,” she said. "They would bang on the window, ‘What are you doing here? We have a TV show.’ I’m thinking, ‘I don’t know what’s going to happen with that show!’ "
Parsons takes a stroll on the boardwalk in 1992. Damon Wayans meets his match and discovers his inner tranquility from the warmhearted counselor Emily Walburn, played by Parsons, in the 1995 comedy Major Payne. 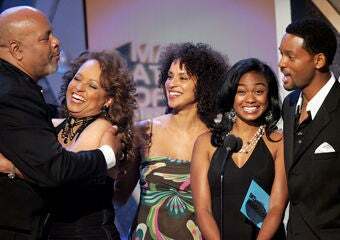 Parsons, center, along with Fresh Prince of Bel-Air cast members James Avery, left, Daphne Reid, Tatyana Ali and Will Smith reunite at the 2005 BET Awards, hosted by Smith and wife Jada Pinkett Smith. 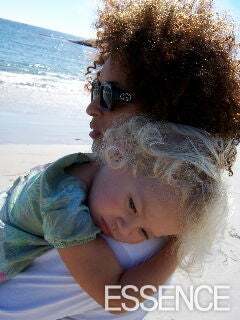 Parsons enjoys a quiet moment on the beach with daughter Lana, 4, in 2006. Parsons and husband Alexander Rockwell share Black history stories with children, including daughter Lana, through her company Sweet Blackberry. 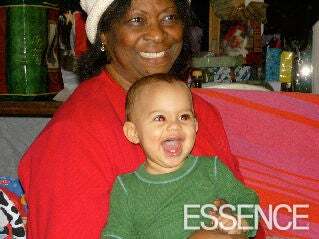 Parson’s mom Louise Parsons celebrates the holidays with Karyn’s son Nico, 11 months. Alfre Woodard narrates for the children’s DVD The Journey of Henry ‘Box’ Brown, the story of a slave, who mailed himself in a box, from Virginia to Pennsylvania to find freedom, as producer and creator Parsons looks on.